“It won't work,” I say to Nina while I put today's newspaper and a box of beeswax candles on the counter. “Believe me, it's a fake,” I try again, even though I know that I might as well argue with the sparkly hanging balls that surround the counter: Nina has made her decision already. The guy behind the counter shrugs. He is dressed in a silly red sales suit, probably a student helping out. Or maybe I am wrong. Nina logs the line as a victory. Back home, we try to find a fitting vessel for our future neon starfish colony. “Let's start small,” I suggest, and pull out one of the jam glasses. We settle on the punch bowl. I rinse the bowl, trying to remember the last time I used it. Then I start to make tea. “Sandwich or yogurt?” I ask. But Nina is gone already, to hunt for reef stones in the garden. When she is back, she takes almost an hour to arrange the stones. That's the bit that leaves me puzzled: this sudden patience. And the shapes that form, under her clumsy fingers. She even digs up her old plasticine box and pieces together a palm tree in orange and green. She glues the tree on one of the top stones. “For shade,” she explains. When Nina is finally finished, we add water. And salt. Then it's done: the punch bowl has become a starfish home. We place it on the window sill in the kitchen, right next to the plastic figures that are supposed to be ninja yaks, but always make me think of lowing cows. Nina lets the magic pearls plop into the water, one after another. We gaze into the bowl. Told you so, I think. Nina looks at me, her eyes wide with anticipation. The concept of irony is lost on her yet. That night, I dream of the sea, of swarming fish. Of real reefs, huge and dark and full of hidden gaps. Home to things we don't even know of yet. Things we wouldn't carry home. When I wake, I am almost sure that starfish will appear in the bowl. Or rather: that they have been there, in the night, while we slept. “Still nothing,” I say to Nina when she runs into the kitchen that morning. The scene repeats the next day, and the one after that. She starts to grow impatient. “Maybe the starfish wouldn't like the bowl anyway,” she says. But every time I gaze at the bowl, I can almost see them there, in the reef. Waiting for the night. For the dreams. For the colony they were, the one they will become again, once. this is for the december short story challenge. i almost gave up on the task to write a story that includes: palm tree, yogurt, red suit, sparkling hanging balls, lowing cows. but the lowing cows kept following me. (i first had no clue that they would lead to neon starfish and a fictional daughter). This transitions nicely from the early cynicism to the belief later; not forced or heavy. Nice read, Dorothee. thanks Ajay. thinking of it, this transition is also almost a mirror of the writing process of this story -- the story came together half as struggle, then in a surprise flow. Dorothee I love this! 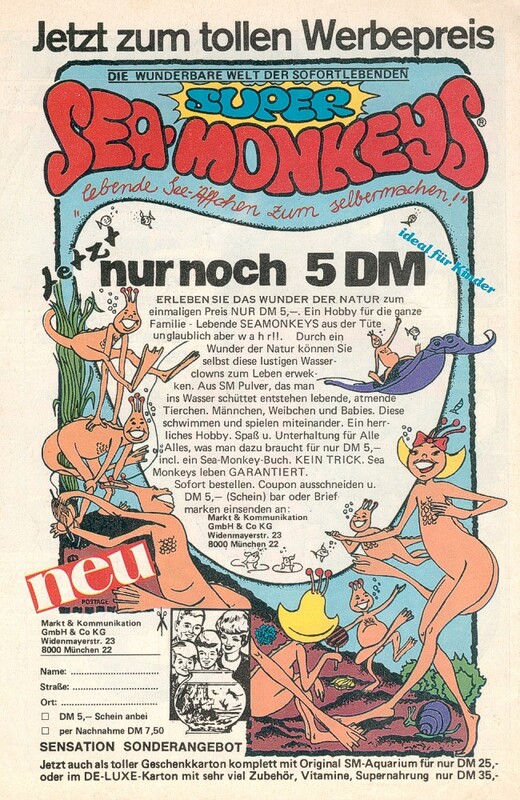 You immediately caught me in with the concept of the starfish because as a child I wanted so badly the "Sea Monkeys" advertised in the back of comic books. I finally ordered them despite my mom's disdain. They were brine shrimp and did 'come to life' but the thought of mother/daughter working together like this just adds to the drama. It made me want so bad for it all to happen. Then to have the child grow jaded while the mother find renewed hope within herself was just a wonderful ending. Nice work! Susan -- that's very much the childhood memory that also sparked this story! this colorful advertising in comic magazines. i think where i live it was sea horses, and they would live in happy sea horse families in one's aquarium. let me try and see if in can find something in the web. "But every time I gaze at the bowl, I can almost see them there, in the reef. Waiting for the night. For the dreams. For the colony they were, the one they will become again, once." I love this ending, and the ninja yaks! Great piece. oooh, beautiful, magical. how i do relate to this! read it more than once, without gasping for air. the two sides of the mother, and how she doesnt grow starfish, but her own inner child! use of the dream-just held back enough (dream sequences can be so overpowering!) i've been there, and i want to go there again! lovely lovely piece. faaaaav! by the way: the ninja yaks - they bubbled up while i was doing the dishes. i almost laughed out loud: dish inspiration. Finnegan! i borrowed your vessel :) and now i just typed the response to Kim while you typed the comment for me. that's interesting - the mother, growing her inner child, returning to a place where magic is possible, is an element of life. i hadn't thought of this while i wrote, but yes. she does. Wonderful form and language to this piece, Dorothee. Really strong ending: "I can almost see them there, in the reef. Waiting for the night. For the dreams. For the colony they were, the one they will become again, once." the ending - after i wrote it, i wished that somewhere in this world, a girl pieced a reef together in a punch bowl for real. and that she just has to wait a few more days. thanks for the story. it made me thing of my own stories with my children. I could not help wondering though how old Nina was. Perhaps it does not matter, but i noticed that as I read that was the one persistent question. hi Daniela! and good question. i thought of this, too - Nina's age. i even tried to include it, first in years, then in school (2nd grade), but it somehow felt unfitting. maybe because i also left the main character uncharacterized in age and appearance. but this now makes me think, that this is a key question when it comes to talking about/with children: "How's your name? -- How old are you?" and then later in life, the age question isn't asked any more, and instead it is a "What's your job / What are you doing" - kind of question. So while age does matter to some readers, sometimes, it's all relative and perhaps to age the character would be to ruin it for the reader. An interesting take on the challenge. Those strange things that can grow in water are the world of wonder when we're kids. Susan, that's interesting: "perhaps to age the character would be to ruin it for the reader." seeing it from that point, then not defining the characters gives the reader a wider spectrum to identify with them. and Jon, yes, those things that can grow in water. i guess that also might be where the fascinating of snorkelling or even diving comes from: seen from the land, ocean and lakes are just surfaces. but they hold their own worlds. it's somehow odd (or maybe not) that a story that i first gave up on, and then started with the plan to make it rather short and funny/comical to get this challenge off my chest then developed into something that is larger and deeper than i probably had been managed to get to paper if i had been trying for those qualities. I loved this, experiencing it as the mother, as the daughter, and maybe even as the neon starfish waiting to be reborn :) You bet I wanted Sea Monkeys as a kid! Brilliant - surprising & tender. I really love this, Dorothee. And kudos on the challenge, I would never have guessed. LOVE IT. There's an almost patient stitching together of words here of the story material here that slowly lets you in on the beautiful pattern to come. One is rewarded by the attention. Carol + Marcelle + Trace + D.P. : thanks for your kind words. it's so beautiful to see that this story that i struggled with first and almost skipped gets such feedback. now i start to wish for the starfish to make the challenge, so that they could be one of the 5 words for the upcoming challenge. I like these images. I thought the final paragraphs were suggesting that we might lose something more...like losing our wildlife. It's so beautiful and moving Dorothee. The contrast between the childish enthusiasm and belief of Nina and her mother's realism and lack of faith. And then the secret hope she found in her, for her daughter's sake, that something will eventually appear. I thought about this, the challenge in writing something with instructions, like having to include certain items of elements in a story, and then realized, it may not be such a challenge at all. They don't have to be a significant part of the story. Just the background. And they can stimulate one's imagination. There is so much behind each and every item in your story, many faraway associations. Beautiful. I like this so much. Hope versus knowledge.